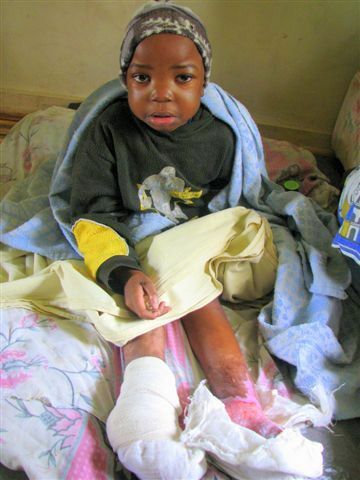 In early 2009 we were asked if we could assist Brendan, a five year old Zimbabwean boy who fell into a cooking pit and burned both legs. 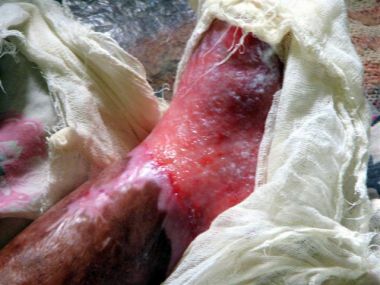 His toes were �amputated by fire� on 10th October, 2008. He was moved to a local hospital and put onto a drip briefly. Thereafter he was taken to a surgeon in Harare. Children of Fire remains willing to assist the child, but one big obstacle was securing him a passport. Not much works in Zimbabwe any more.